Many people land on my institutional site by looking for percentage calculation with Excel. And their needs, as resulting from their search keys, are rather simple to satisfy. Therefore, I try to collect here some examples related the most common requests. 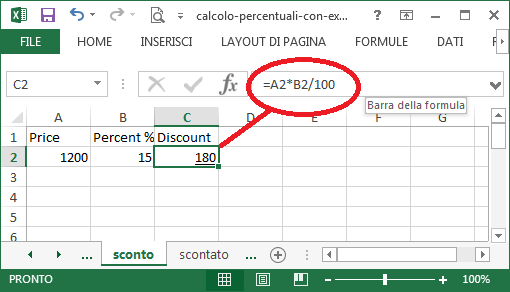 For each example, I propose a screenshot (public domain pictures, made by myself): the formula is highlighted in the formula bar. Example 1 – I know the price of a product and I know that a certain discount has been applied (in the example: 15%): how much is the discount? Example 2 – I know the price of a product and I know that I will benefit from a certain discount (in the example: 15%): how much will I spend? Example 3 – I know the sale price of a product and I know its original retail price: what discount has been applied? 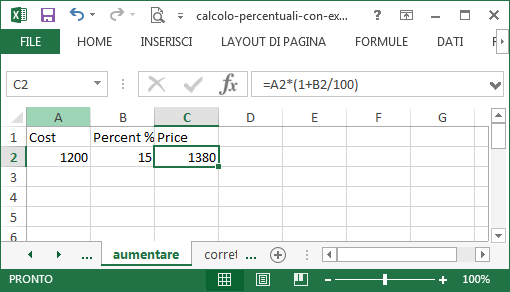 Example 4 – I know the cost of a product and I want to increase it by a certain percentage (in the example: 15%): what will be the final price? 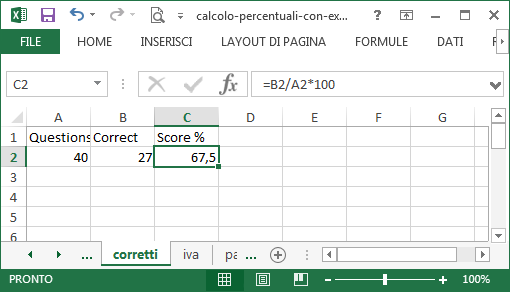 Example 5 – I correctly answered a certain number of questions on a test (27 out of 40): how can I express this result as a percentage score? 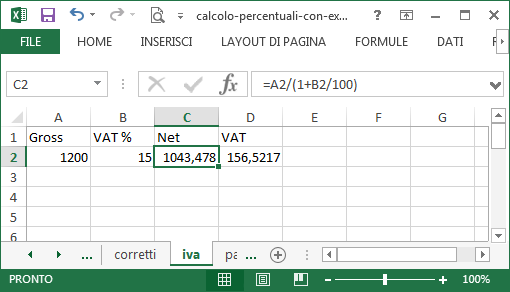 Example 6 – How to deduct tax from a price which includes tax: I know the price of a product (gross price) and I know that a certain tax has been applied (in the example: 15%): how much is the price before tax (net price)? © ultimovenuto. Utilizza WordPress & Krusze Theme.